PICTON, ON – Parsons Brewing has announced details for this year’s vintage of a beer-wine hybrid made using grapes from the brewery’s own vineyard. Our small vineyard consists of 500 vines – Pinot Noir and Chardonnay. Upon harvest the juice from our grapes is blended with a golden ale and fermented together with Saison yeast. The result is something very unique – a hybrid of 30% wine, 70% beer that is cloudy by nature with a tart open, a subtle juiciness and lingering hints of crisp orchard fruit. 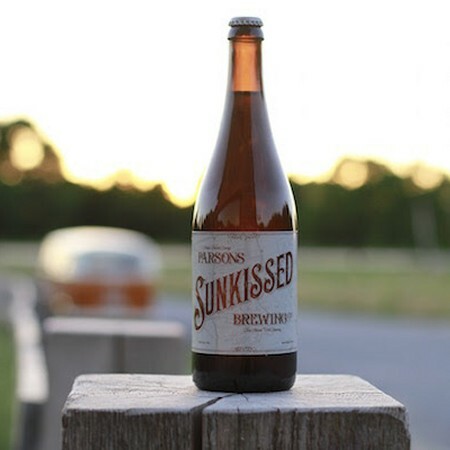 The 2018 edition of Sunkissed is limited to 800 bottles, and can be pre-ordered online now for pick-up at the brewery.